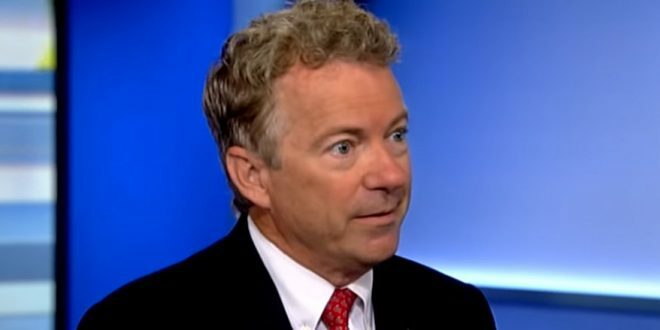 Rand Paul To Ask Trump To Drop Sanctions Against Russian Lawmakers So They Can Visit The US This Fall - Joe.My.God. Sen. Rand Paul, R-Ky., said Thursday evening he would ask President Trump to lift sanctions against the chairmen of both houses of the Russian legislature so they can visit the U.S. in the fall. Paul just returned to the U.S. from Russia after a trip intended to promote diplomacy between the two countries. Paul told Fox News Thursday evening that the leaders of both chambers of the Russian legislature have committed to visiting the U.S. this year, but they can’t until sanctions are lifted.